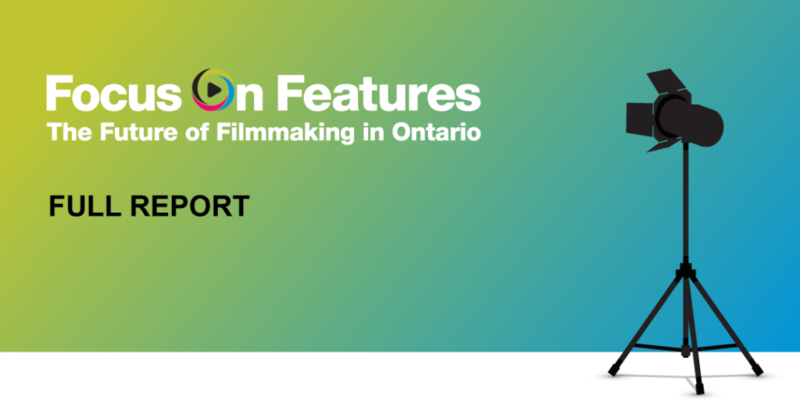 It is hoped that the voices in this report, and the data that provides context for their perspectives, will provide the reader with a better insight and awareness of the challenges, opportunities and potential strategies to support and improve the Ontario feature film sector. A simple solution would be to increase funding for the development and production of feature film in Ontario as that would provide screenwriters, directors and producers with more opportunities to allow them to enhance their skills, time and money to craft the best possible scripts, and the budget to produce commercially competitive feature films. However, as this report demonstrates, there are other strategies which would work hand in hand with additional funding such as training in new technologies, targeted training to expand the talent pool, formal networking to help emerging talent develop their careers and to assist established talent in sustaining their careers. The Ontario feature film sector produces audience-pleasing and award-winning feature films but with more support could develop a sustainable industry and a marketable brand that film audiences around the world will recognize because of the quality and creativity of an Ontario feature film. Under the plan developed by the parties to the study, staff of Ryerson University conducted one-on-one interviews with Ontario feature film producers, directors and screenwriters as well as with industry stakeholders. In order to broaden the scope of experiences and opinions, they did a survey of additional Ontario feature film producers, directors and screenwriters. Ryerson also conducted a literature review of existing, relevant third party research. The objective was to delineate the current Ontario feature film landscape, its challenges and opportunities. The Ontario feature film industry is made up of two very different branches: foreign (location service) production, and domestic production, both of which are supported by provincial and federal governments. Both are important to the health of the Ontario feature film sector as they provide jobs and career opportunities. But only domestic production supports Ontario creators telling Ontario stories. Canadian feature films have only a fraction of the theatrical market (1.8% in 2016) due to having much lower budgets and less promotion than most Hollywood movies. Audience behaviour is changing however, and there are growing opportunities to watch Ontario feature films on broadcast and through digital distribution channels and platforms.